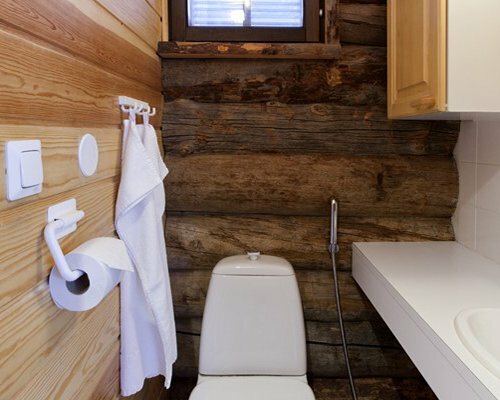 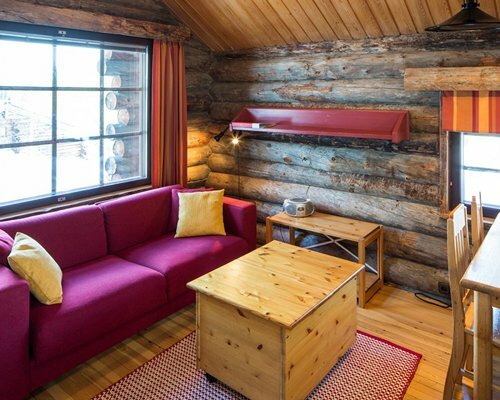 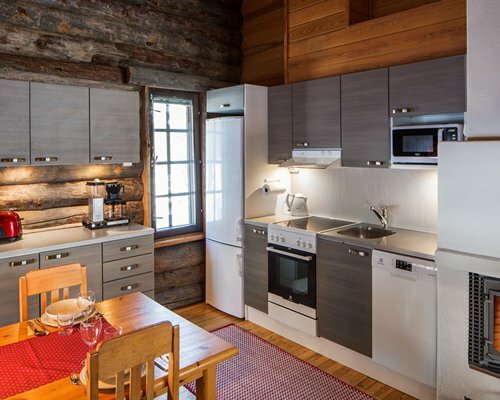 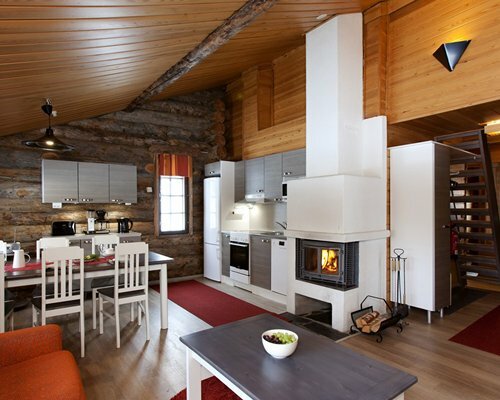 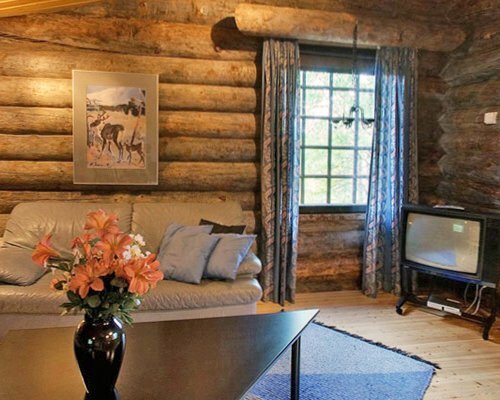 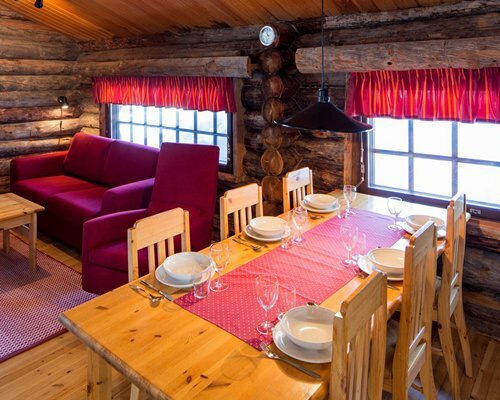 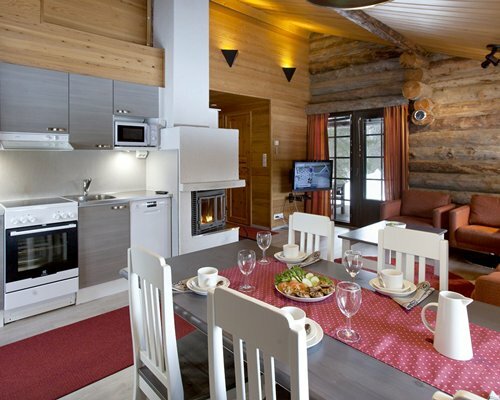 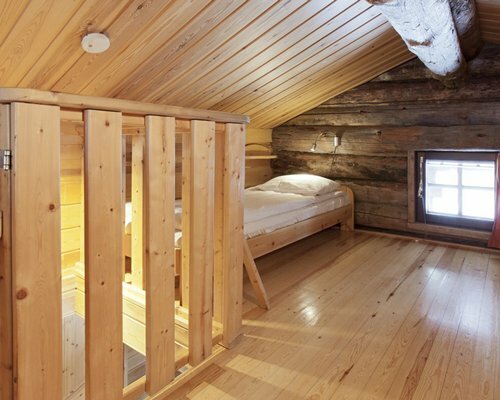 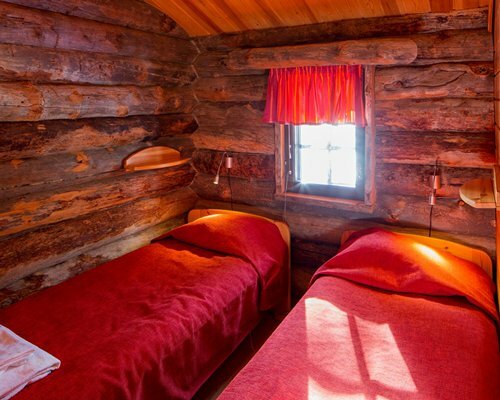 Close to the Arctic Circle, the Holiday Club Ruka is a rustic resort consisting of traditional log cabins situated in the middle of a forest. 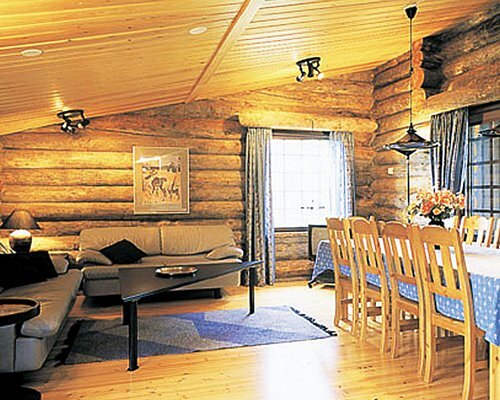 It is well located, midway between Kuusamo and Ruka, with the Russian border only 18 miles away. 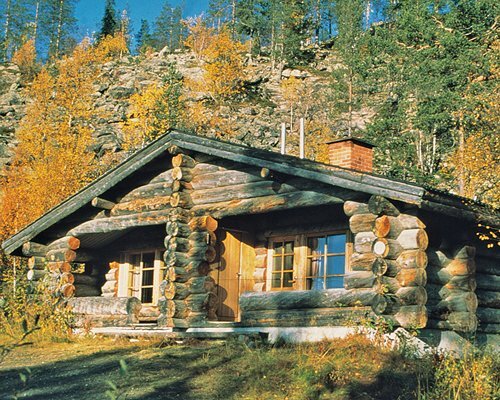 There are lots of outdoors actvities to enjoy in this area such as snowmobiling, cross-country and downhill skiing in the winter and fishing, hiking and canoeing in the summer. 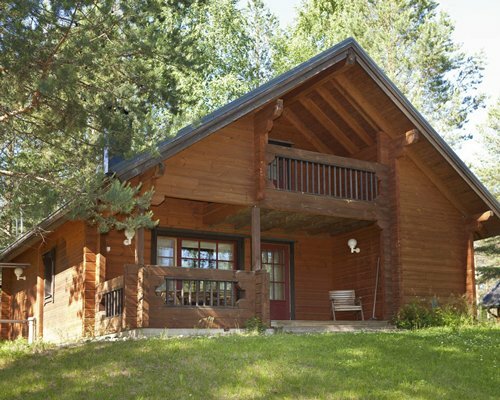 A car is reccommended to fully enjoy all the area has to offer. 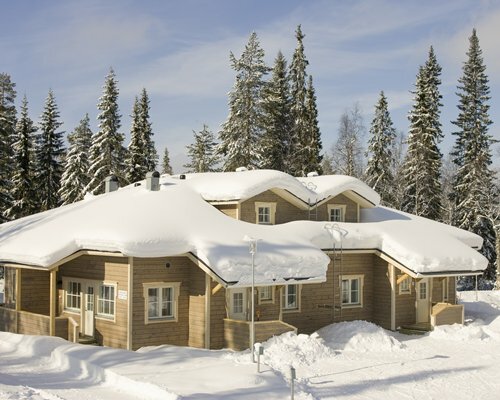 BY AIR: Nearest Airport - Kuusamo 4kms BY ROAD: From the airport turn left and continue until the crossroad for road number 5. 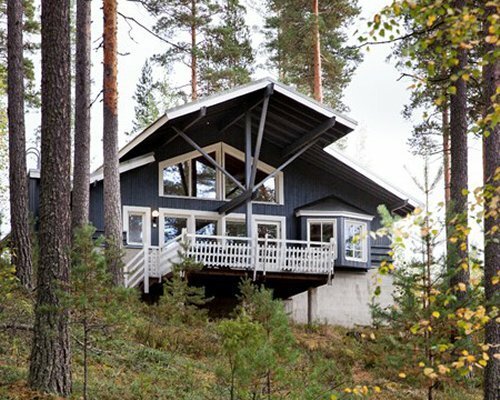 Turn right towards Kuusamo and continue for approximately 1.5 Km until the sign for Kuusamo Tropiikki. 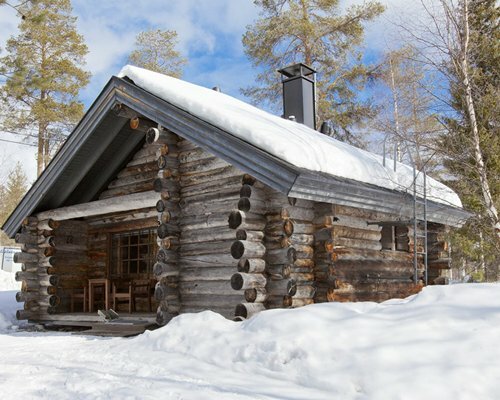 Follow these signs until you reach the resort. 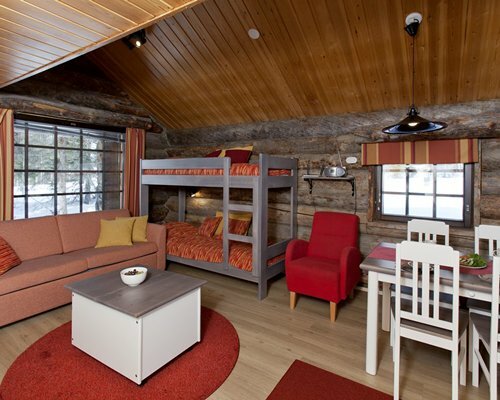 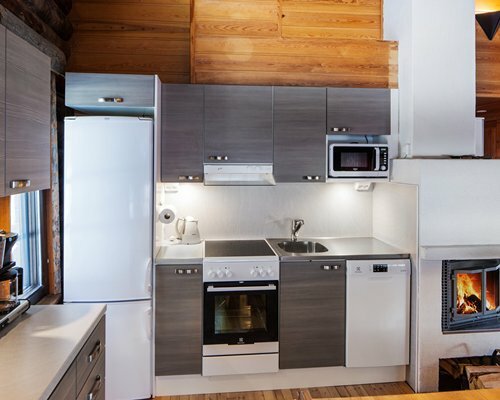 Studios for 2 have a double sofa bed and studios for 4 have in addition bunk beds.